Refinancing an existing mortgage can be much simpler than obtaining a brand new home purchase mortgage from scratch. 1. Your equity has diminished. Following the collapse of the housing market at the end of the last decade, many Americans have been unable to refinance because of insufficient equity. In these situations, a refinance is neither practical nor possible. When seeking a refinance loan, borrowers will find that lenders will deny the loan on the grounds that the present value of your home will not secure a sufficient amount of funding to cover the new loan balance. Solution: Unfortunately, this obstacle does not have an easy solution, which is why it has become such a serious issue for many borrowers. If you have insufficient equity in your home and would like to refinance, you should continue to make mortgage payments on the current mortgage until it regains value. The optimal solution for underwater borrowers is to perform a refinance through the Home Affordability Refinance Program (HARP). If you have a conforming conventional mortgage, visit our HARP 2.0 Eligibility page to find out whether you qualify for this refinance program. 2. You have recently refinanced. Depending on your lender, recent refinances can present a challenge to borrowers hoping to secure the currently low mortgage rates. If you have refinanced within the past six months to a year, you may not be allowed to refinance again soon; at the very least, this will hurt your chances of qualifying for a refinance loan. Solution: As with the previous problem, there is no simple way to circumvent the regulations regarding a recent refinance. If you have refinanced within the past year and would like to do so again, discuss your options with your lender; if he or she cannot provide any options, try speaking with other lenders who may be able to fund a new loan. 3. You no longer occupy the property. Borrowers attempting to refinance a home that is not a primary residence will typically be required to possess a large amount of money in savings, as well as more owned equity on the property itself. Due to the risks associated with investment properties, borrowers will have much more difficulty in refinancing these properties as compared with refinancing a home. Solution: If you plan to move out of your home to turn the property into a rental investment, always refinance before you leave as it will be much simpler. Unfortunately, borrowers who have already moved out may not have as many financing options. Accordingly, borrowers under these circumstances should do as much research as possible to find a lender that can offer a reasonable refinance deal. 4. You have not performed well on your current mortgage. To be approved for a refinance loan, borrowers must prove to their lender their reliability as an investment. Accordingly, borrowers who have not made consistent payments on their current mortgage will appear to be a bigger risk, significantly damaging the chances of securing a refinance loan. Solution: If you have missed one or more payments on your current mortgage, wait until you have developed a better performance record on your loan. Not only will this substantially increase your probability of approval, but you will qualify for more favorable interest rates. 5. Your credit score has decreased. 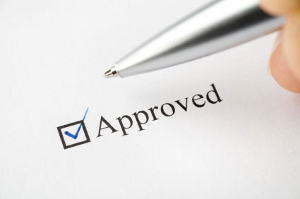 As mentioned, lenders determine approval by assessing the risk which a particular borrower represents. This risk is calculated to form the numerical representation known as a borrower’s credit score. Consequently, lenders will typically deny refinancing applications for borrowers with poor credit scores or whose credit scores have decreased since the initial mortgage. Solution: While many may hope for an easier solution, bad credit borrowers must wait and re-establish good credit. Also, obtain a copy of your credit report and review your credit history; any inaccuracies or misrepresented information can be resolved for a slight credit boost. By waiting for credit to recover, you will not only qualify for the refinance but save thousands of dollars by acquiring a more beneficial interest rate.